The Colorado bankruptcy laws were enacted to give a second chance to hard-working Colorado Springs residents who have built up unmanageable debts, often through no fault of their own. The well-established Law Office of Stephen H. Swift, P.C. is the largest bankruptcy law firm in El Paso County that specializes exclusively in bankruptcy law. We have helped thousands (yes, thousands) of Colorado Springs citizens obtain debt relief through the bankruptcy system. We can advise you about how a Chapter 13 or Chapter 7 bankruptcy could help you make a new financial start. Is Chapter 13 or Chapter 7 Right for You? 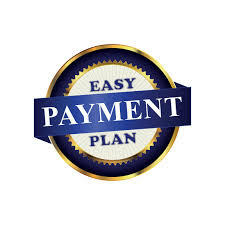 A Chapter 13 bankruptcy can eliminate some debts and reduce others, while allowing you to pay off your remaining debts over a three to five year period through a debt repayment plan. It can stop foreclosure, allow you to keep your home and give you the financial breathing room you need to get back on track with your finances. Many Coloradoans who think they only qualify for a Chapter 13 bankruptcy are better off filing for Chapter 7 bankruptcy instead. As experienced Colorado bankruptcy attorneys, we understand the rules of the system and every aspect of the bankruptcy process. We can help you make the decision that is right for you and which provides you with the best opportunity to get your life moving forward again. Do you have a second mortgage? If the appraised value of your Colorado Springs area home is equal to or less than the total of your paid-in equity and your outstanding first mortgage, you can completely eliminate the second mortgage through a Chapter 13 bankruptcy. Our firm has stripped off second mortgages for a number of homeowners in the Colorado Springs area. In a free consultation, an attorney at our firm can review your situation and discuss the possibility of eliminating your second mortgage.